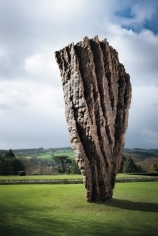 Ursula von Rydingsvard is the highly acclaimed artist’s first large-scale survey in Europe. 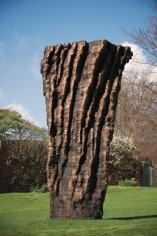 The exhibition, which is the artist’s most extensive to date, illustrates the full scope of von Rydingsvard’s diverse practice, including more than 40 works of drawing and sculpture made over the last two decades, presented on the grounds and in the galleries of Yorkshire Sculpture Park. 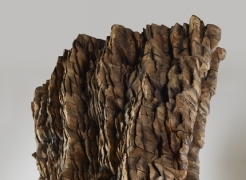 Von Rydingsvard has evolved a distinctive, highly personal sculptural language that has become synonymous with cedar, the wood that lies at the heart of her practice. 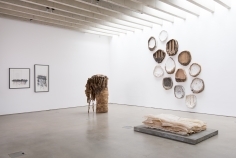 The exhibition features wall-mounted works, monolithic structures and other complex forms, most of which are meticulously assembled from 4” x 4” cedar beams. 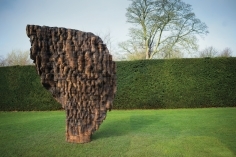 Von Rydingsvard created six new outdoor works for the park, which have never before been seen, in mediums including cedar and bronze. 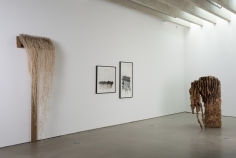 An exhibition catalogue featuring an interview with the artist will be published. 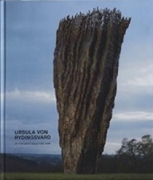 In the spring of 2014, von Rydingsvard will be presented with the 2013 Lifetime Achievement Award by The International Sculpture Center. 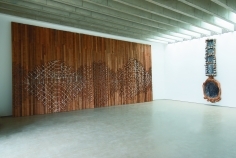 An exhibition of work by von Rydingsvard, developed in collaboration with YSP, will be on view at the Kloster Schoenthal in Switzerland from May 10 – October 12, 2014. 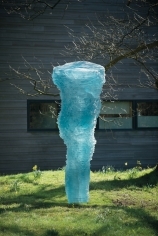 A sculpture by von Rydingsvard will be featured in the Laurent-Perrier Garden designed by Luciano Giubbilei at the Royal Horticultural Society Chelsea Flower Show in London from May 20 - 24, 2014. 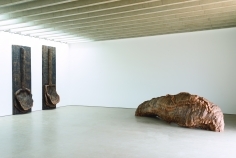 Galerie Lelong will present a solo exhibition of von Rydingsvard's work in the fall of 2014.